Candidate holds at least a Bachelor Degree of Legal, International Relations, Communication or relevant field. Candidate with Master degree is preferred. Requires high magnitude of external engagements and spends extra hours for both desktop and outside office activities. Requires deep understanding of Indonesia's oil and gas businesses and operations, as well as insights into the diverse Indonesia's political landscapes. Strong ability to build and maintain network in current and future dynamic in administration (change of government officials). Possess strong Indonesian and English written and oral communication skills, especially in engaging government/external parties in advocacy process. Excellent understanding in Indonesia regulation and policy processes. JobsCDC.com now available on android device. Download now on Google Play here. Please be aware of recruitment fraud. The entire stage of this selection process is free of charge. 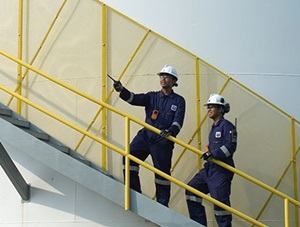 Chevron Indonesia - Manager Government Relations Chevron November 2018 will never ask for fees or upfront payments for any purposes during the recruitment process such as transportation and accommodation.